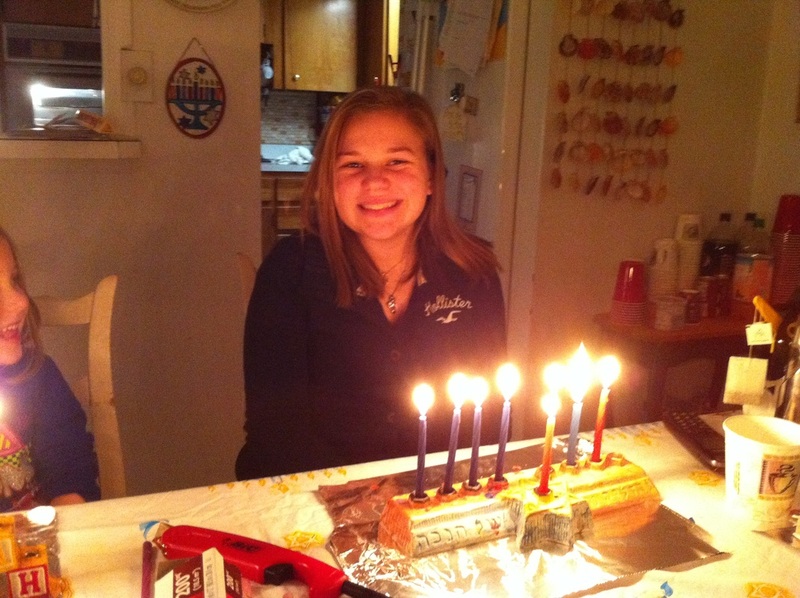 Chanukah is one of the minor holidays in Jewish tradition, though one of the most beloved by all Jews. Though not traditionally a gift-giving holiday, in America it quickly mirrored the celebration of Christmas by Christians to match its themes and importance. In our family, Chanukah is a joyous time, a time to celebrate our freedoms, to cherish being together with family and friends, and to enjoy the music and foods that are traditionally connected to Chanukah. Every year, as is true with all holidays, we take time to prepare for Chanukah. We decorate our home proudly, not to look like the Christian homes, but to allow our neighbors to know that we are proud to be Jewish, and we treasure our religious freedom. We create a display of chaukiyot, the nine-branched candelabras, and each person in our house chooses one to light each night. One chanukiah is from my grandmother, which I bought her in Jerusalem; one was given to us upon our engagement from my brothers; one came from dear friends for our wedding; one we brought back from our trip to Italy; one was given to each child when they were born; one was chosen by each child on a trip to Israel. Not only are the lights themselves beautiful, but the meaning behind each chanukiah is significant. 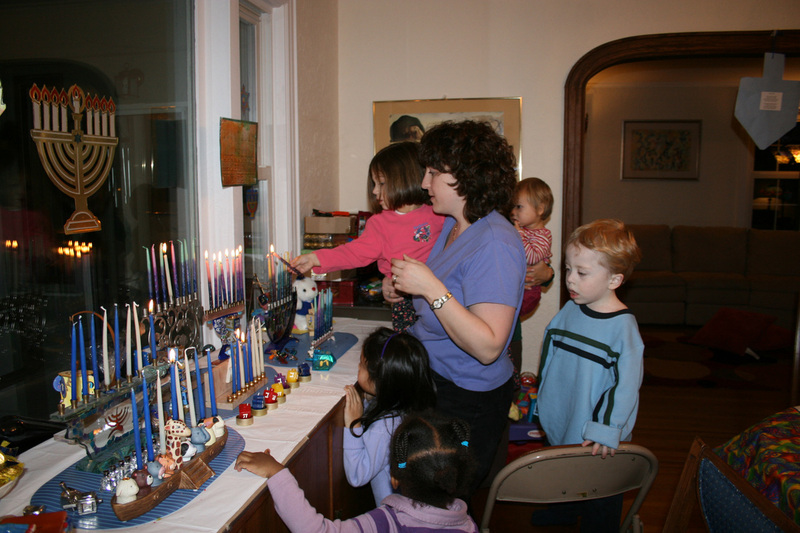 During Chanukah, we celebrate with friends and family, neighbors and community members. We strive to remind those around us of the story of Chanukah, the beautiful melodies that are our heritage, and the wonderful foods we enjoy. Our house smells like latkes for weeks, and the special sufganiot (jelly donuts) we bring are a favorite by all. 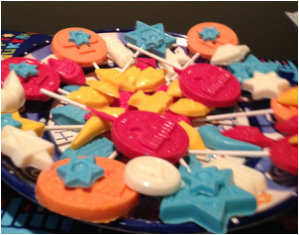 There is much pride in the chocolates and cakes we make, showing are pride as Jews to all those who join us. Each year, we encourage our children, family and friends to think of those who are in need in the greater community, to do what we can to help them. We think of those who are not free to practice their religions, and we pray and fight for them to find their freedoms soon.